Today’s choice for a wonderful modern home improvement will be bifold doors. Not only do they look good, but also increase the air circulation and the amount of light you are able to bring into your home. They fold back easily and neatly to take up less space than French doors, and are the ideal way to seamlessly join garden and house. Camberley Glass and Windows is a well known local company that you can trust for the supply and fitting of your bifold doors. We have been working in Eversley and the surrounding area for nearly 50 years supplying glass, glazing and replacement doors, and our experience in the field is second to none. We have a long list of customers who are more than satisfied with our products and service, and much of our custom comes from personal recommendation. You can read the testimonials on our web site and see our high ratings on Checkatrade. We are also on the Buckinghamshire and Surrey Trading Standards Approved list of traders. Camberley Glass and Windows has a range of bifold doors in different materials, colours and textures. Our doors are manufactured to exceed British Trading Standards so that there will be minimal heat loss and maximum noise exclusion together with a high level of security. 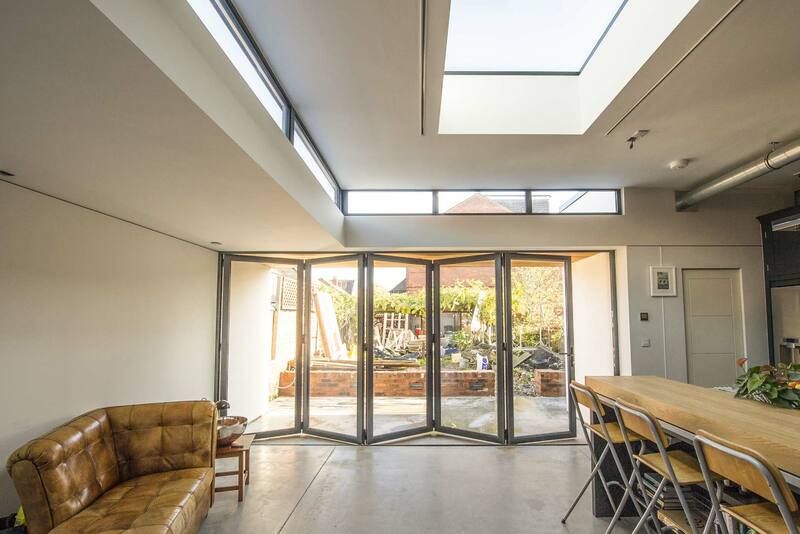 All our bifold doors come with a fully insured guarantee. Our advisers have many years of experience; some of our team have been working together for more than 20 years. Our professional fitters, who are fully qualified and FENSA registered, will expertly install your new bifold doors in your home. Come to our showroom at Camberley, Surrey, and see the range of products on offer. We will be happy to chat and give you friendly honest advice without pressure selling or gimmicks.